Cannabis retail has hit new highs. 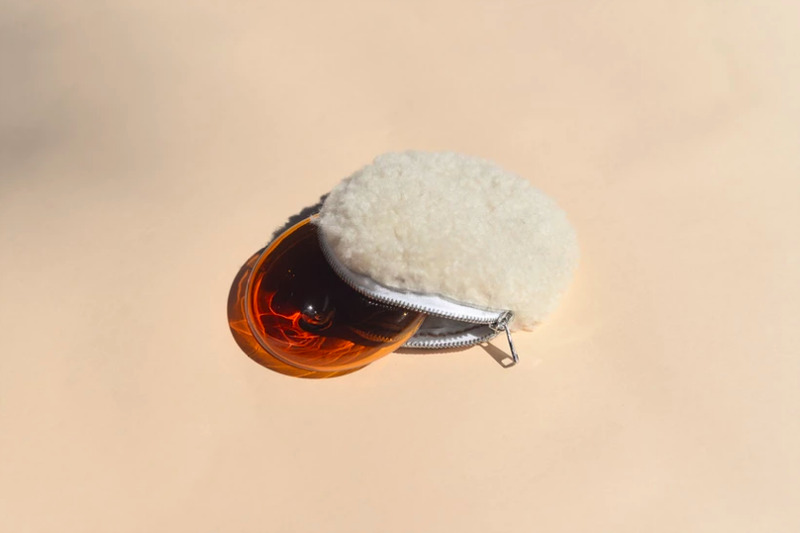 The degree of creative design going into new accessories, from smoking utensils to cannabis-concerned housewares, is increasing almost as fast as new ideas for better ways to serve modern consumers. People no longer just want to get high, they’re proud of being high. They want to celebrate their high with a piece; environment; utility belt worth being equally proud of. The finest. Here are 10 ideas for ways to celebrate the adults who enjoy cannabis—to the fullest— in your life. No matter how far the technology of smoking accoutrement progresses, a classic pipe is always called for. Something that can work anytime, anywhere, without charge, and requires nothing but some flower and a light. That isn’t to say your resin-encrusted handheld pipe from college should last a lifetime. This palm-sized piece from Laundry Day is as functional as it is stylish sitting on a coffee table tray. And despite the modern disc design, the Hudson is a pipe that everyone can easily use, regardless of how long it’s been since they’ve indulged. $60. In a similar fashion, joints will never go out of style. 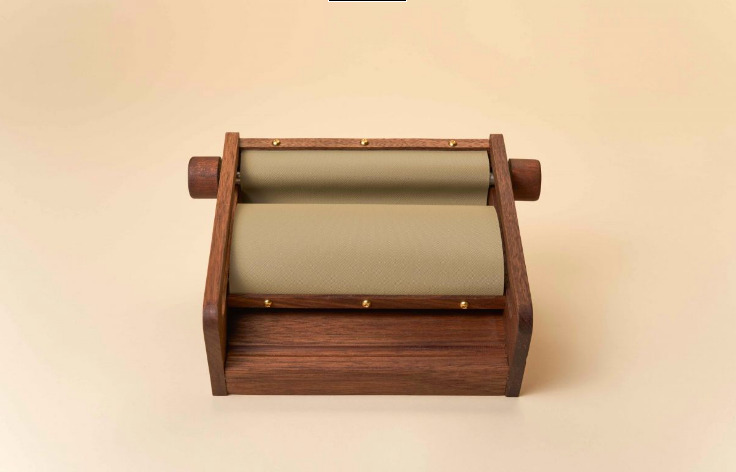 Ingredients may have upgraded to more refined, wellness-oriented items, like undyed rice papers, rose gold grinders and Harold Natural Wood Filters as a crutch. 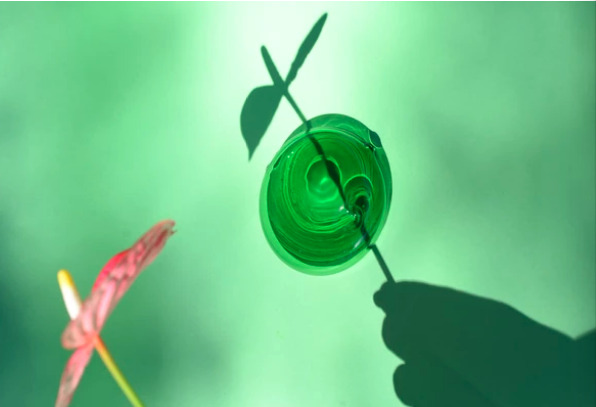 But the social and cultural ritual that is breaking up a bit of flower with fingertips or grinder, distributing it in the paper before rolling it compact and sealing it with a lick, and then passing to a friend, will always have a place in our habits. 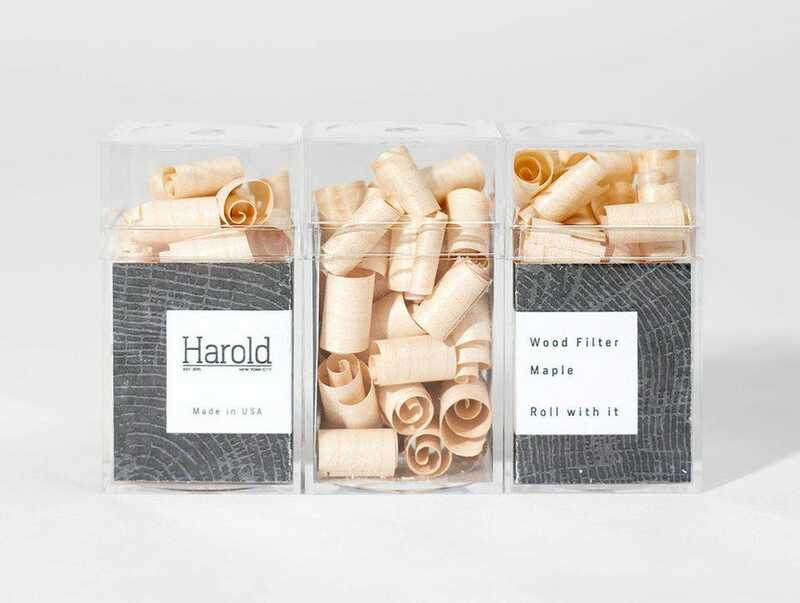 These filters work better than any scrap of business card you typically use as the mouth of the joint, and if you’re careful, can be used more than once. Find them on Tetra for $18. Though all of us may enjoy the occasional pull from a well-rolled joint, not all of us are bestowed the same rolling skills. These can be honed over time, of course, but there are a few things to be said for the consistent convenience of a well-constructed rolling machine. For one, a rolling tray is no longer necessary. The paper lays neatly inside, and the intuitive design allows a tightly-rolled, standard size joint. When rolling freestyle, it’s imperative to have clean, dry hands in order to avoid damaging the delicate paper. The Tumbleweed Roller is a sanitary solution that puts the belt in between you and the paper. Find it at Serra for $52.50. Personally, I enjoy the filtration and control that a bong provides. I can smoke as little or as much as I like, without wasting half a joint. But at the end of any size of bowl, there is a simmering cherry that can stink up a room, or much worse, ignite something other than cannabis. 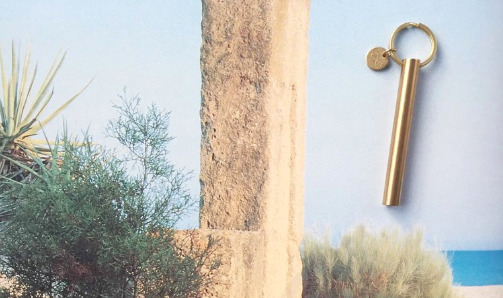 That’s when a tamper comes in, like this chic, sturdy and conveniently portable keychain by Portland-based Soothsayer. Each 2.5-inch Cylinder Tamper is made of solid brass and handmade to order, assuring a sufficiently extinguished bowl without ruining the bottom of every lighter. $48. Geometrically designed to catch the eye, this petite vessel for good times passed is named for the perpendicular bars on the base. They prevent the tray from toppling sideways and keep the ash up and out the way if something spills. 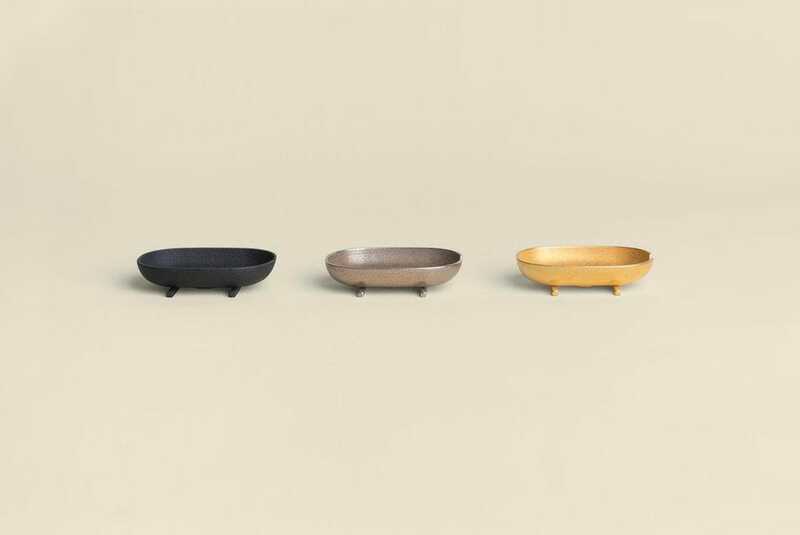 The smooth, oval tray Cross Bar Ashtray reminds one of the clean lines of Japanese ceramics and architecture, and the small size forces one to clean it after each session–keeping your area ash-free. $90. Drawing from the classic tool used to hold a joint when it gets too small for fingertips, this stylish innovation comes in handy from spark to finish. Slide the stone down to open the tongs, which can be customized in black onyx, green aventurine, and abalone shell. 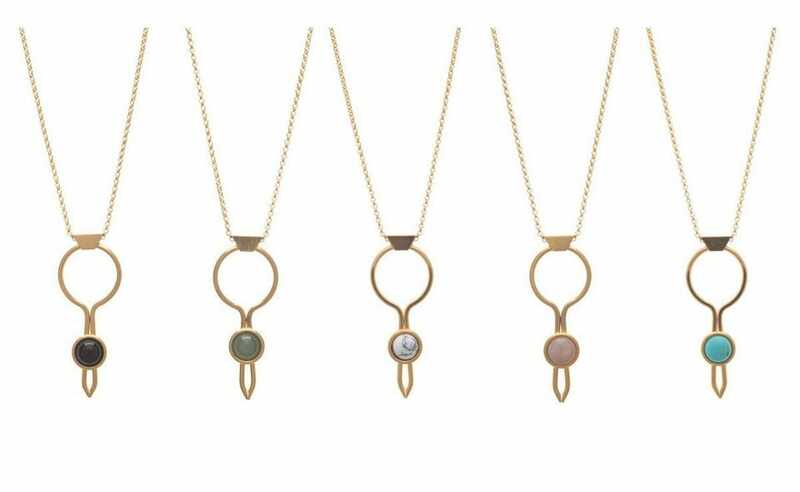 The Stoned Circle Necklace Clips are timeless, both as art-deco inspired jewelry and delicate, easy-to-clean tools that keep your manicure pristine when passing a resinous joint to a friend. $85. There isn’t anything necessarily wrong with the smell of cannabis. I love it. But I don’t want my room to smell like it when I’m not smoking. And depending on the setting, volume and company, the cannabis scent is best when at least diluted. Febreze does not count as dilution, and neither do sticky sweet candles that make a space smell like edibles rather than fresh. 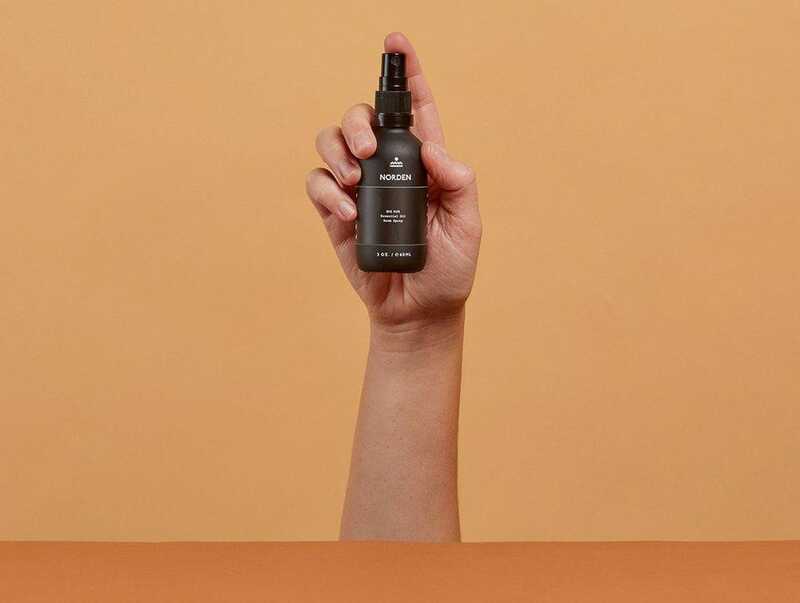 This room spray from outdoors-inspired California brand, Norden, deodorizes and freshens the air 100% essential oils, making my apartment feel cleaner too. Of the three scent profiles, you can’t go wrong with the foresty Big Sur: a blend of balsam fir, citrus, and birch tar. Find on Tetra for $35. One can only get a thrill at the sight of a new shade of Bic lighter so many times. At the other end of the spectrum, upgrading all the way to a Zippo can be a jarring transition. 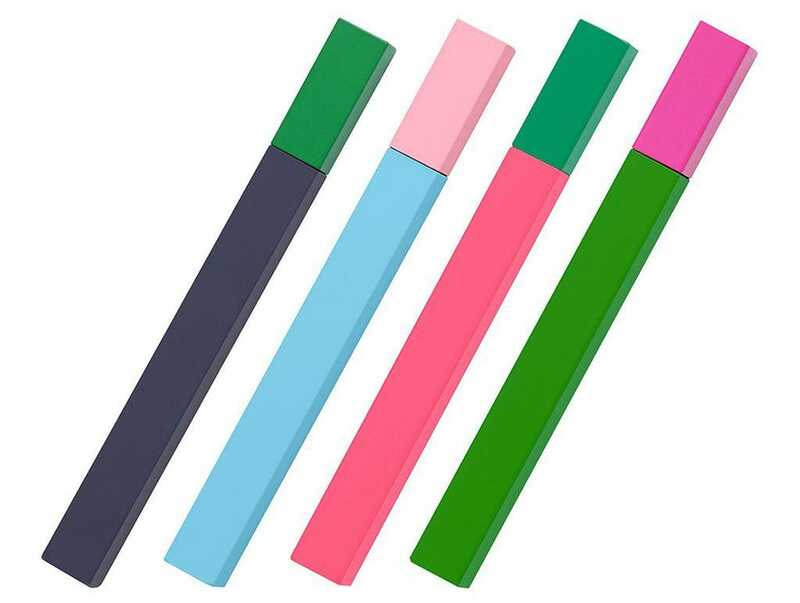 Enter Tsubota Pearl’s Queue Stick Lighter, a slim, high-design combustion that will set an elevated tone at any session. Not to mention this two-toned color block collection blends in stylishly with pens and lip products in your purse. Fluid is not included, but be sure to use Zippo (not butane) when you do. Find on Tetra for $30. You can buy all the New Cannabis paraphernalia you want—after a few uses, it all gets just as messy as your college bong. Every piece, large and one-hitter alike, ought to be cleaned frequently with some degree of isopropyl alcohol. In between those thorough cleanings, these Herban Essential Oil Wipes are a natural way to sanitize between uses (and users). They’ll come in handy cleaning off resiny fingertips after a joint as well, or as a refreshing face wipe on a trip. $16 for a pack of 20. Goldleaf strain journals gave consumers a tool to record their experiences and thus better understand what plants, cannabinoids, and terpenes are achieving the desired effects when experimenting. As our bodies’ reactions can vary greatly individual-to-individual, these unique records are truly the most accurate and effective tool when navigating the lack of research and mountains of misinformation of cannabis. 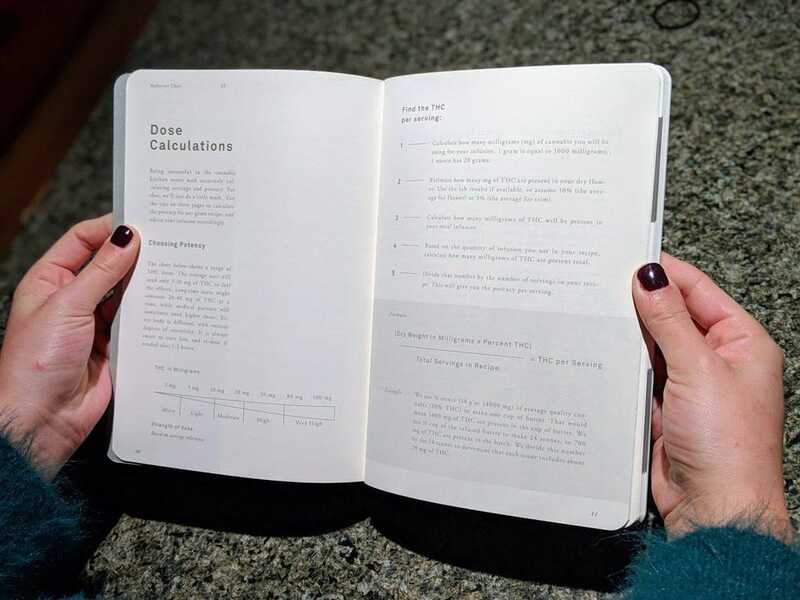 The Goldleaf Cooking Journal is an elegant, more culinary-leaning accompaniment to the original strain journal, giving curious chefs not only a journal to record recipes and cannabis dosage, but a resource brimming with terpene descriptions and recommended flavor pairings, ingredient-by-ingredient. $17.99. This entry was posted in Cannabis News & Blog and tagged legal cannabis canada. Elizabeth Richey, MD Elizabeth Richey is an author, and student who approves articles and then published them on our website to the MJN viewership. Her qualifications include a degree in international policy and medicine. Always refer to a qualified doctor before using marijuana to treat an ailment.